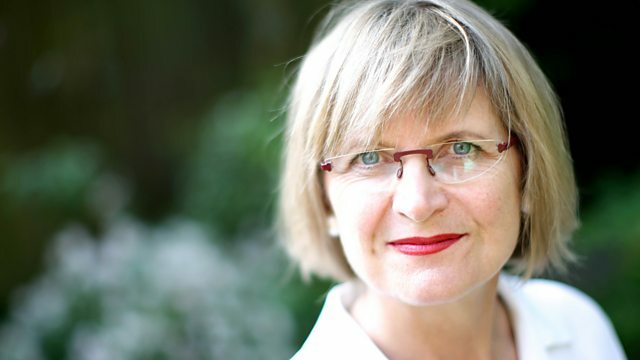 Jancis Robinson recommends wine to actor and comedian Adrian Edmondson. Taste, opinions, slapstick, and festive cheer. Uncork a bottle, reveal a person… Jancis Robinson recommends wine to actor and comedian Adrian Edmondson. Jancis Robinson is on a festive mission to recommend wine to famous guests. The key is to find wines that match her guest's personality - both their public persona and more private self. After all, wines are a bit like people - some are bold and fruity, some elegant and refined; you’ll get aging smoothies and sharp young things. But what will she recommend to someone who was the hell-raising Vyvian in The Young Ones, performed punk music on folk instruments in The Bad Shepherds, has been in Star Wars and supports Exeter City? What follows is a lively conversation about wine and personality – about a person’s taste, their passions and opinions. On the way we’ll learn a lot about wine - about tasting, and style, about balance, acid and tannin; about winemaking and winemakers. It's a conversational masterclass from one of our foremost wine writers. But more than that – the open bottle starts up conversations about people's lives and opinions on all sorts of things. We’ll find ourselves asking what our own taste in wine might reveal. Open up a bottle and you’ll open up a person.